The Firedrake project is proud to host the 2015 FEniCS Workshop. The workshop is an opportunity for all those interested the FEniCS Project, and related projects such as dolfin-adjoint and Firedrake, to exchange ideas, communicate their results and network with the automated finite element community. The workshop welcomes existing and potential developers and users of automated simulation systems, as well as mathematicians interested in a high productivity computational environment for finite element problems. Keynote lecture: Dr Jennifer Ryan, University of East Anglia. Public lecture: Prof. Anders Logg, Chalmers University. Dr Jack Hale University of Luxembourg. Dr Marie Rognes Simula Research Laboratory. Dr Lawrence Mitchell Imperial College London. Videos of the talks are available on the Firedrake youtube channel. 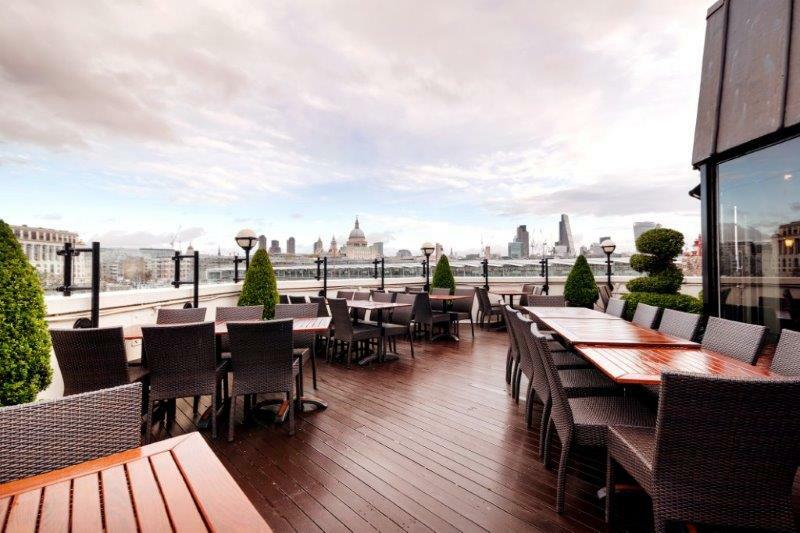 The workshop dinner will be a terrace barbeque at Doggett’s Coat and Badge featuring views across the Thames to St Paul’s Cathedral and a fine selection of English real ales and other delights. For information on getting to Doggett’s, see the directions. The workshop will be held in the Huxley Building on Imperial College’s main South Kensington campus. The street address is 180 Queen’s Gate, London SW7 2RH. For information on getting to the venue, including Transport for London tickets, see the directions page. Registration before 31 May will be £150. This will include lunch on Tuesday and Wednesday, the conference dinner, and refreshments in all the breaks during the workshop. Additional dinner tickets (for partners etc.) will be available for £40. After 31 May, registration will rise to £200. Registration will close on 19 June. For those looking for affordable accommodation right on campus, Imperial College’s halls of residence are available to summer visitors starting on 29 June. Alternatively, you can make use of Imperial’s rates at nearby hotels.